Santa Monica Pier Keeps The Beach Vibe Alive - Ski. Play. Live. If you’re like me- constantly looking for summer fun- then check out this latest entry that seems to be an off-the-hook gathering of beach bums. The Santa Monica Pier in Southern California is officially putting summer on notice. The first-ever Pier 360 Ocean Sports & Beach Festival, June 23-24, will crush the Santa Monica Pier. On the deck, down to the shore and into the waves, the Pier will offer a complete 360° of California beach culture. 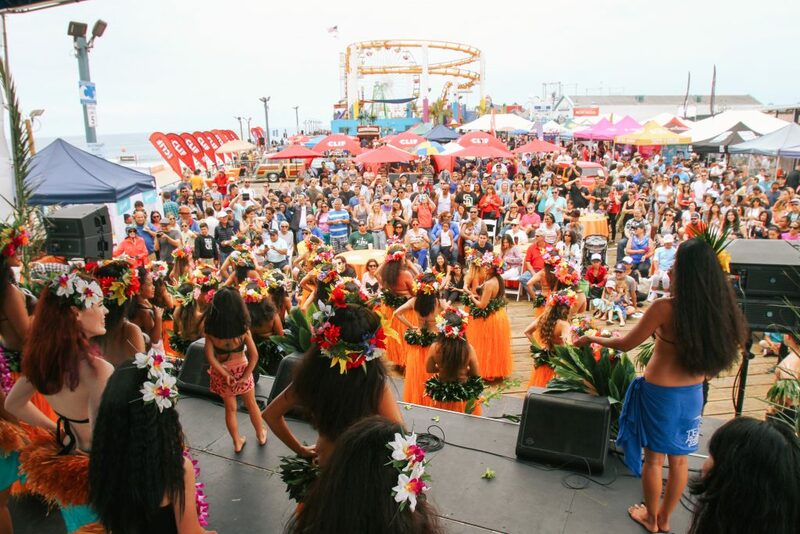 A spin around the festival grounds presents a full slate of marquee ocean races, beachside tournaments, immersive art, music, surf history and activities for all ages. The event is totally free whether you’re a regular surf rider or can’t swim a length. What began in 2010 as the single-day Paddleboard Race at the Santa Monica Pier has continued to evolve into one of California’s largest ocean festivals, drawing thousands of spectators each year. Pier 360 is summer’s kickoff celebration. The two-day beach bonanza officially begins Saturday at 7 a.m. with a Hawaiian blessing on the sand before diving into the first of 13 competitions. Over 500 athletes will compete for cash prizes, and victorious high school and collegiate beach volleyball teams will earn points towards the national championships. Later, thousands of spectators will line the sand and the deck as lifeguards compete in dory races; and elite stand-up Paddleboard (SUP) racers compete in a challenging course around the Pier. And, if that’s not enough, spectators can catch skaters busting 360’s on the pop-up skate ramp. Hands-on activities include assisting the build of a colossal sand sculpture with the art collective, Think Tank Gallery. Up on the Pier deck, live music takes center stage, anchored by music festival mainstay Brownies & Lemonade (high off its Coachella Heineken House takeover). Of course, Pier 360-goers can groove with drink-in-hand at the Beer & Spirits Garden, which will be pouring beer and cocktails from 10 a.m. to sunset both days. While you’re there, cruise the Museum of Beach Life and its collection of antique surfboards, paddleboards, and lifeguard equipment celebrating the long history of beach life at the Pier that dates back to the 1940’s. The festival benefits The Surfrider Foundation and The Bay Foundation, two non-profits dedicated to preserving coastal access, protecting the environment and improving the health of the ocean environment. Shore to be a good time.